If you have been recently diagnosed with breast cancer, don’t panic. The uncertainty is often the hardest part of this process. Dr. Bethke and the staff at the Lynn Sage Breast Center know how much anxiety uncertainty can cause. We will do our best to keep your evaluation and treatment on track. This section will help you gather necessary information, get appropriate tests and consultations, and make informed and timely decisions. Some patients will require many months of therapy after surgery. Therefore, you should consider the preoperative evaluation and treatment period a project, and yourself as the project manager. Remember, you are your own strongest advocate. EDUCATING AND EMPOWERING YOURSELF: How To Use The Resources On This Page. The Breast Cancer Manual is an e-book I've written and it contains all the information contained on this page. Patients that prefer having information related to their care "in-hand" will want to print it out and refer to it as needed. Familiarize yourself with the Stages of Treatment for Newly Diagnosed Breast Cancer Patients listed near the bottom of this page. It’s a step-by-step breakdown of the treatment process before, up to, and after surgery. Select one or more of the Instructional Guides below. Print and keep whichever ones you like. Refer to our Breast Cancer-Specific Links at the bottom of this page. The Breast Cancer Manual: A complete guide for the newly diagnosed breast cancer patient — formatted to print easily. We will review key points in the manual at the initial consultation. Breast Reconstruction Options: For a thorough discussion of reconstructive options with photos, videos and realistic expectations please go to the American Society of Plastic Surgery website. Breast Surgery Post-Operative Instructions: A list of important do’s and dont’s prior to surgery. Using the internet for breast cancer research is encouraged, but be wary of information overload. A Google search for “Breast Cancer” will return 33 million results! Instead, limit yourself to two or three highly ranked sites. Some recommended sites are listed at the bottom of this page, under the “links” heading. Sometimes your insurance company requires a second opinion or you may just want reassurance that you’re embarking on the right treatment path. We’re very supportive of second opinions and will provide any necessary test results required by the institution providing the second ﻿opinion. Call the Center at (312) 695-0990 to schedule your appointment. The call center staff will gather basic information and give you instructions on how to prepare for your initial consultation. You will be sent (emailed) a Pre-Registration Packet soon after you schedule your clinic appointment. Please print and complete prior to your appointment and bring the completed forms to your consultation. It is important that your pathology slides and breast imaging studies are reviewed by our breast specialists prior to your visit. The review will take about one week after the studies arrive at Northwestern. Pathologists will confirm the pathology diagnosis and breast radiologists will determine if additional breast imaging studies are necessary before making a final recommendation. You will be sent (emailed) and Outside Films Checklist if you had imaging at a center other than Northwestern. Please print and complete prior to your appointment and bring with you to your consultation. It contains an itemized list and instructions for obtaining medical information like mammograms. This will help the treatment process run as smoothly as possible. Ideally, any additional imaging that is recommended by our radiologists should be completed prior to your initial consultation with Dr. Bethke. You will check in at the front desk where demographic and insurance information will be confirmed. All forms will be checked for completion. If you require additional breast imaging studies before making a final recommendation the Lynn Sage staff will help coordinate their timely scheduling. You’ll have ample opportunities to ask questions of Dr. Bethke and the Lynn Sage Breast Center staff during and after your consultation. Your healthcare team will include a variety of medical professionals. You may not need all of these medical providers but they are all available to you. Once a week our entire team meets as a multidisciplinary group to review the more unusual patient cases and help formulate a treatment plan. All of your medical records are easily accessible to members of the team via the Northwestern Electronic Medical Record. Surgical Oncologist (Breast Surgeon): Dr Bethke specializes in breast surgery and focuses on breast cancer. He will lead the preoperative evaluation, perform the appropriate surgery and help plan your follow-up care and consultations. Medical Oncologist: An MD who specializes in treating cancer with chemotherapy, endocrine therapy and biological therapy. Radiation Oncologist: An MD who specializes in treating cancer with radiation. Plastic Surgeon: An MD who specializes the reconstructing the breast after a mastectomy. Breast Radiologist: An MD who specializes in screening for breast cancer, diagnosing breast cancer with image-guided needle biopsy and preoperative planning using mammography, ultrasound MRI and other techniques. Breast Pathologist: An MD who specializes in the microscopic evaluation of any breast tissue removed and provides the diagnosis. Oncology Nurse: An RN who provides care, support and education during your cancer treatment. Nurse Navigator: An RN who can assist you at every stage of your cancer care, from scheduling treatments to accessing social and financial resources. Rehabilitation Specialist (Physical or Occupational Therapist): A professional who can assist with restoring or improving movement or who can help you perform daily activities more easily. Cancer Geneticist: A professional who specializes in diagnosing inheritable cancer syndromes such as the BRCA (breast cancer) gene mutation which predisposes one to a higher risk for breast and ovarian cancer. Oncofertility Specialist: Physicians and other healthcare professionals who can help you with fertility issues which arise before, during and after cancer treatment. 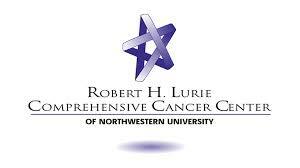 ​Cancer Survivorship Specialist: Northwestern has created the Northwestern Survivorship Institute in order to care for our many cancer survivors. Their goal is to recognize and treat any special needs related to cancer therapy and help our patients return to their active, joyful lives. Once all studies have been completed and a final treatment decision is made the Lynn Sage staff will coordinate the scheduling process. The Breast Center staff will work with you to optimize scheduling. Please realize that the entire pre-operative evaluation can take three weeks or even longer. If you’re undergoing immediate reconstruction the surgery date will need to be coordinated with the plastic surgery team. Please be patient. The times you are given are an approximation. Delays can and do occur because preceding operations may take longer than expected for a variety of reasons. Dr. Bethke will call you with the pathology results usually within four to five days of surgery. The need for special studies may further delay results. Please refer to and familiarize yourself with the Post-Operative Instructions. Prior to your surgery you may schedule a follow-up post-operative appointment to see Dr. Bethke about one-and-a-half to two weeks after surgery. We’ll examine the incisions, remove drains if present and once again review the pathology results. We’ll also plan any further recommended evaluations or treatment. You will most likely need to see a medical oncologist and/or a radiation oncologist for further treatment. You may schedule these appointments prior to surgery but allow a minimum of one week between surgery and your appointment (pathology results need to be available). You may see the oncologist of your choice or we’ll recommend one for you. Most physicians at Northwestern have profiles listed at the Northwestern Memorial Hospital website. ﻿You will be followed closely over at least the next five years your oncologists. The next appointment with Dr. Bethke after your postoperative check will be six months after surgery.